Christian has always admired handsome, talented composer Daniel. Their shared appreciation for music marked the beginning of a friendship between a willful boy and a sophisticated young man... But when tragedy strikes and circumstances twist around to put Daniel in the service of Christian's wealthy family, their bond is tried in unexpected ways. Years ago, the universal language of music drew them toward one another. Now, Christian has to hope it's still enough to bridge the gap between their vastly different lives. 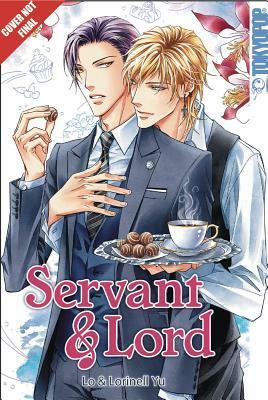 I liked the premise of Servant & Lord, which is why I requested it from NetGalley. Sadly the book didn't quite live up to my expectations. There were some language issues (incorrect words etc.). These may well be fixed before publication, but even so, the dialogue didn't flow, and a few times I had to reread to try to understand what was being said. My main problem, though, was with the characters, as I found their relationship perplexing. Their romance certainly wasn't healthy; it bordered on obsessive. I simply couldn't see them together in the long term. If I were reviewing solely on the story, this would get a 2.5. However, the artwork is very nicely done, so for that I will bump this to three stars.